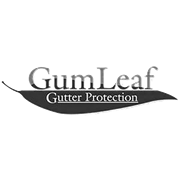 GumLeaf is the best gutter guard on the market. Most people will either clean or pay someone to maintain their guttering several times a year. Having GumLeaf Gutter Guard installed saves home owners money and dramatically reduces work and danger by keeping them off the roof. Supplied in simple 1.2 metre lengths in a pack of 5 (6m in total) GumLeaf is simple and easy for DIY installation. 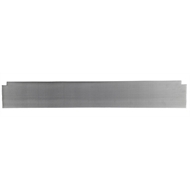 With a small pin hole design and made of strong Australian made aluminium material, GumLeaf Gutter Guard is highly functional and durable. GumLeaf Gutter Guard also helps protect your home from bushfire ember attack,makes filling your water tank quicker and helps supply cleaner water. Do not use plastic (or any other gutter guard for that matter) as you will find that the performance and durability is no where near what GumLeaf Gutter Guard offers.